Place all ingredients in mixer. Mix with paddle. Let rise 30 minute Punch down and let rise again for 30 minutes. Roll out and cut into sticks with pizza cutter. Place onto greased cookie sheets. Let rest 15 minutes. Bake in 375 for, baste with the garlic butter every 10 min until light brown. Should take about 45 min. 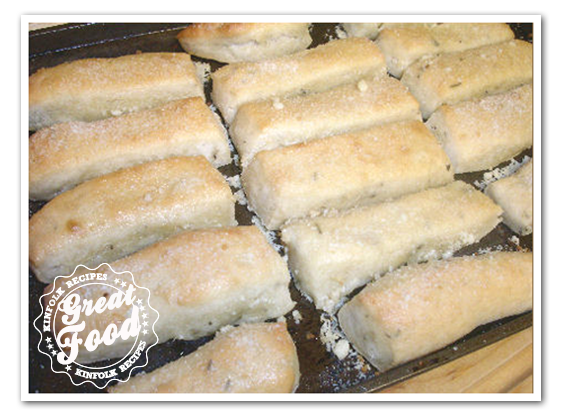 While still hot from the oven brush with melted butter and sprinkle with dried Parmesan cheese and or Mozzarella cheese. Serve warm. 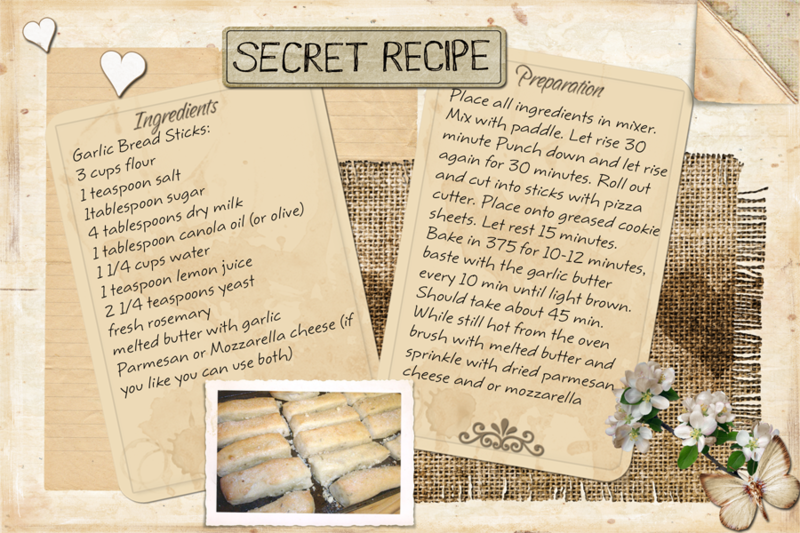 *Arrisje’s Recipe Card. Click on pic below, save to your hard drive, print as a 4×6 pic*.